Enriqueta Desales Razon, 87, of Florence, died Monday, August 27, 2018, at Carolinas Hospital. 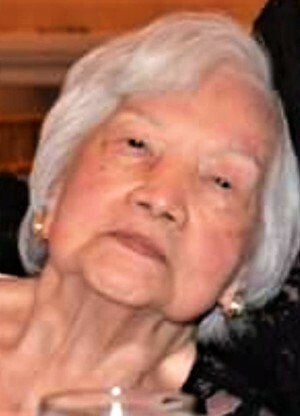 She was born December 17, 1930 in Roxas City, Philippines, a daughter of the late Isaac and Trinidad Delfin Desales. She was also predeceased by her husband, Vicente Z. Razon. Enriqueta worked in the banking industry for over 40 years. She was a devout Catholic and attended St. Anthony’s Catholic Church. Survivors are her son, Enrique Coral; two daughters, Victoria Razon Donato of Florence, SC, and Valerie Razon Satina; step son, Robert Razon; step daughter, Rowena Razon Sarmiento; seven grandchildren, Ana Charisse Olivares, Charlotte Rita Sarmiento, Vincent Robert Razon, Vincent Edward Donato, Abigail Victoria Donato, Kyle Ezekiel Satina and Ethan Nicholas Satina; three great-grandchildren, Gianna Olivares, Chiarra Olivares and Evelyn Razon; and three sisters, Virginia dela Cena, Trinidad Santiago and Carmen Resurreccion. A Mass of Christian Burial will be said at 10 AM on Thursday, August 30, 2018, at St. Anthony Catholic Church, directed by Cain Calcutt Funeral Home. Interment will follow at 12:30 PM at Sunset Memorial in Bennettsville, SC. The family will receive friends from 6 until 8 PM on Wednesday, August 29, 2018, at the funeral home. Memorials may be made to the Bethea Baptist Retirement Community. Please sign the online guest registry at www.cainfuneralhome.com.